Investors continued dumping shares of Merck & Co and Schering-Plough Corp. Tuesday, a day after their cholesterol-drug partnership took a hit from somewhat negative results of a controversial study, but some analysts called the worries overblown. The study examined how much their heavily advertised combination cholesterol pill, Vytorin, reduced plaque buildup in arteries supplying blood to the brain, compared with Merck's older cholesterol drug, Zocor. Vytorin combines Zocor, now available as a cheaper generic pill, with the partners' Zetia, a newer drug. Instead of showing Vytorin did a better job, the study, called ENHANCE, found no meaningful difference between the two pills, apparently indicating Zetia gave no benefit. However, some Wall Street analysts said flaws in the study's design made it difficult for Vytorin to come out on top and cited other evidence of Vytorin benefits. The drug received FDA approval but a trial to verify Vytorin's effectiveness was not complete until April of 2006. Sales of the drug soon accounted for billion of dollars, reports CBS News correspondent Susan Koeppen. The Congressional Committee on Energy and Commerce is investigating the withholding of important clinical trial data. In a letter to Merck and Schering-Plough, the committee expressed "concern in releasing results of the study" and "apparent manipulation of trial data," reports Koeppen. Congressman Bart Stupak, Chairman of the Subcommittee on Oversight and Investigations told CBS' The Early Show that they will also be looking into trading information revealing that Schering-Plough president, Carrie Cox, sold 900,000 shares of company stock worth $28 million a year before the Vytorin clinical trial was complete and seven months before it was made public, reports Koeppen. "There's certainly major misrepresentations not only to the effectiveness of the drug, but manipulating of the scientific data to further promote a product that isn't doing what it was designed to do, Stupak told The Early Show. Before Vytorin's release in 2004, Zetia-maker Schering-Plough was facing several patent expirations, while Merck was about to launch the biggest drug recall in history with Vioxx, an arthritis medication which was shown to increase the risk of heart attack and stroke, reports Koeppen. 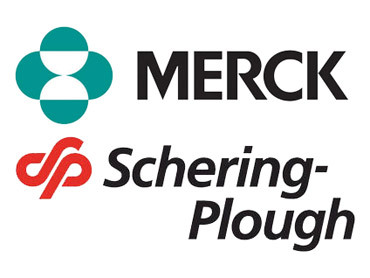 But Vytorin turned things around for both Merck and Schering-Plough. It became controversial because the two drugmakers took more than 1½ years to release the results, which they blamed on the complexity of the analysis. Meanwhile, a congressional committee in December requested more information on the study and some media reports speculated the study might have found Vytorin caused excessive liver problems. That wasn't seen. "The medical community expects that results of clinical trials whether they be positive or negative be promptly reported," Dr. Steven Nissen, Chairman of Cardiology at the Cleveland Clinic told The Early Show. Meanwhile, prescriptions for Vytorin continued at a brisk 800,000 per week, reports Koeppen. Publicity over the results, released Monday, pushed Schering-Plough shares down 8 percent Monday and another 6.8 percent Tuesday, to $23.78. Meanwhile, Merck shares dipped 1.3 percent Monday and another 2.7 percent Tuesday, to $58.18. "I firmly believe this is an overreaction," Lehman Brothers pharmaceuticals analyst Tony Butler said Tuesday. "We believe some misinformation in the marketplace has created a panic." Butler said he does not expect the new study's results will cause doctors to write fewer prescriptions for Vytorin. He cited data showing it does a better job of lowering LDL, or bad cholesterol, than competing drugs, and also improves levels of good cholesterol and reduces inflammation, which is thought to be a trigger of heart attacks. Morgan Stanley analyst Jami Rubin wrote in a research report that the market appeared to be "overly pessimistic" about the study's impact on Vytorin and Zetia sales. Both cited aspects of the ENHANCE study they saw as stacked against Vytorin. The 720 patients in the study all have a very rare genetic condition predisposing them to high cholesterol and most had been heavily treated previously with cholesterol drugs, making it harder to see additional improvement with Vytorin. Also, the study required technicians to examine about 40,000 digital ultrasound images of patient arteries, and some were too difficult to read, leading to missing data. Still, some analysts said the study could harm the drugs' prospects. "The study will hurt sales, but I don't know the degree," said Raymond James & Associates drug analyst Michael Krensavage. He noted that while results were not statistically meaningful, it appeared the Zetia group did a little better in plaque reduction then the Vytorin group.